Mr. Jordan shared these points and more during the Opening Caribbean Overview Presentation at the CHICOS Conference, which was held November 10–11, 2016, at the Ritz-Carlton in San Juan, Puerto Rico. 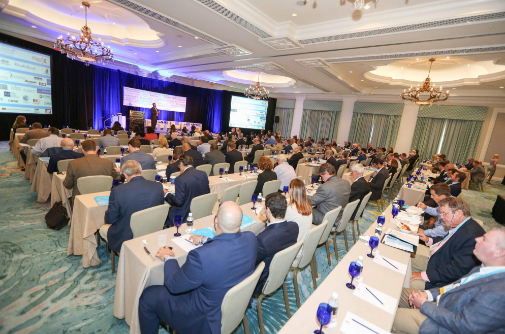 CHICOS welcomed nearly 300 attendees and 30+ sponsors, representing every major hotel brand in the region and seven Caribbean island nations determined to connect with prospective investors and hospitality experts. Based on the current market situation, discussion panels and workshops at CHICOS 2016 focused on key subjects affecting the investment climate in the Caribbean, including available capital, financing of new projects, and new market opportunities for both the first time and seasoned developers who are interested in pursuing deals in the region. Other discussions included best practices in improving a destination’s competitiveness, successful project models, management and sustainable development in the Caribbean, and planning and strategies by various governments in the region to facilitate investment in their jurisdictions. With the increasing level of news regarding uncertainty and instability in some emerging markets, informed investors are considering the Caribbean as a viable alternative for hotel and tourism development due to various factors, such as the strong performance of existing hotels, increasing levels of demand, proximity to the United States, and direct air access from various source markets. Staged by HVS, the Caribbean Hotel Investment Conference & Operations Summit (CHICOS) is the premier industry conference for the region and brings together more than 300 regional and international investors and operators, as well as the region’s leading decision-makers. CHICOS 2016 welcomed governmental representatives, opinion leaders, developers, bankers and other lenders, tourism officials, investment funds, hotel brand executives, individuals/companies seeking investors for their tourism projects, franchise and operations companies, public and private institutions, consultants, advisors, architects, and designers—all to discuss the region’s markets and possibilities.